…what a joy. Who knew that under that looming dark grey sky stood a city full of typographic surprises that would blow me away. Everywhere I look I see a poster, a shopfront or a typeface that makes my heart skip a beat. It’s obvious to me now why London has a strong reputation for cutting-edge, smart design. And something about the juxtaposition of huge block type faces against the old vintage buildings and cobblestone alleys works so wonderfully. It makes me smile. 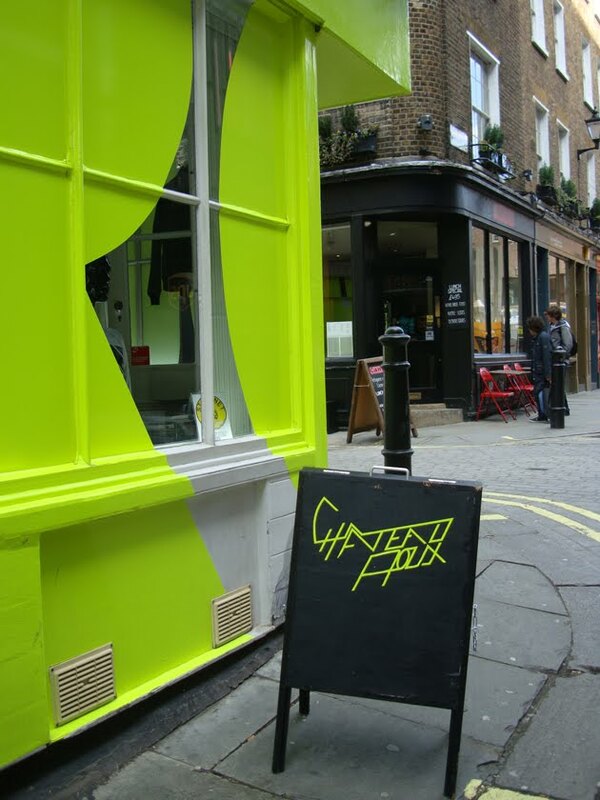 I took these photos walking down Carnaby Street (near Oxford Circus) where I was exchanging a pair of boots. I admit that the shopping in this city gives me just as much joy as the design does! 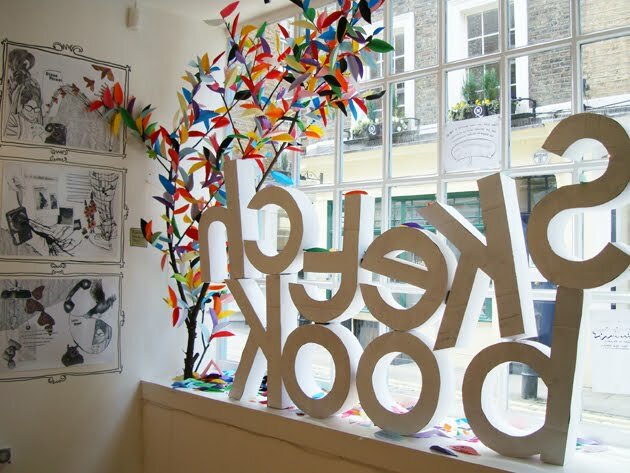 ‘Sketch Book’ is one of the few ‘pop-up shops’ I’ve come across in London –there’s plenty of them. 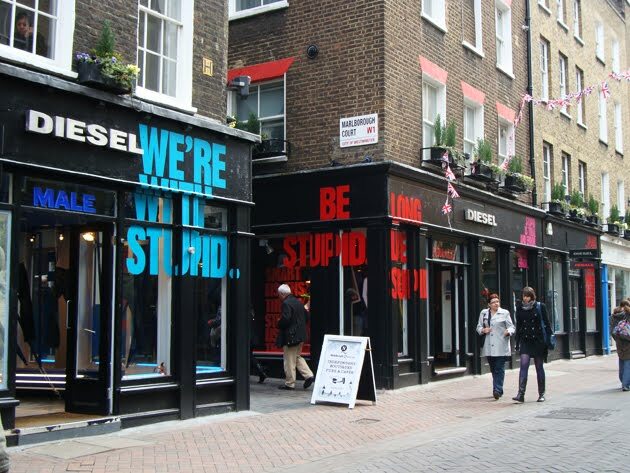 Shops that stand for a month or so to promote creativity or express a social/political voice. 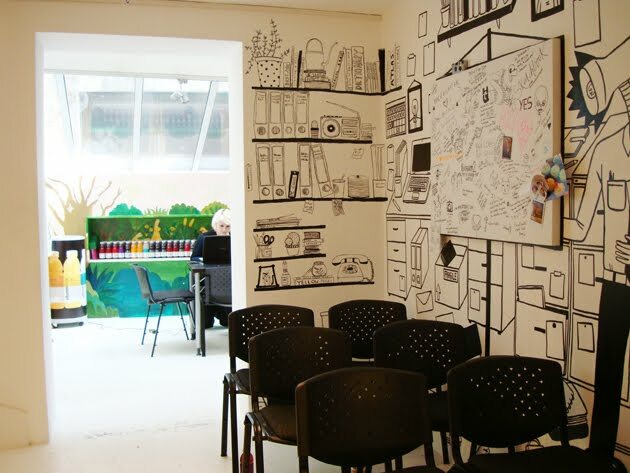 I love that places like this exist in between the clothes shops –that creative culture is embraced here and made a part of everyday life. It inspires me. This coming week, I’m heading to the Eastern side of London for an edgier, more gritty view of London. Fingers crossed I come across some Bansky. 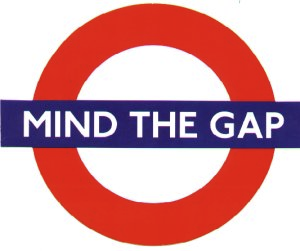 There’ll be a gap indeed in the Boheem Studio for the next couple of months. Chantel is heading overseas to London on a Boheem-endorsed self-discovery design adventure. She’ll be taking her laptop and after a little holiday in Europe will be settling down in a corner of London where she’ll be meeting UK designers, getting involved in local design events, seeking short-term work experience in London agencies, and just generally absorbing what’s really happening in design and creative culture on the other side of the world. It follows Kass and Claire’s 3 month ‘sabbaticals’ in New York, when each director took time out to allow themselves to be influenced and inspired by the goings-on in the Big Apple. Check out Claire’s blog here: http://clairebonnor.blogspot.com . We’re hoping that Chantel finds plenty to write home about: head back to this page in a couple of weeks to find out what she’s been up to. We can all live vicariously through her for a while. Later this year, Mei will be heading to New York for an experience of her own as well. They grow up so fast, don’t they?